Merry Christmas! 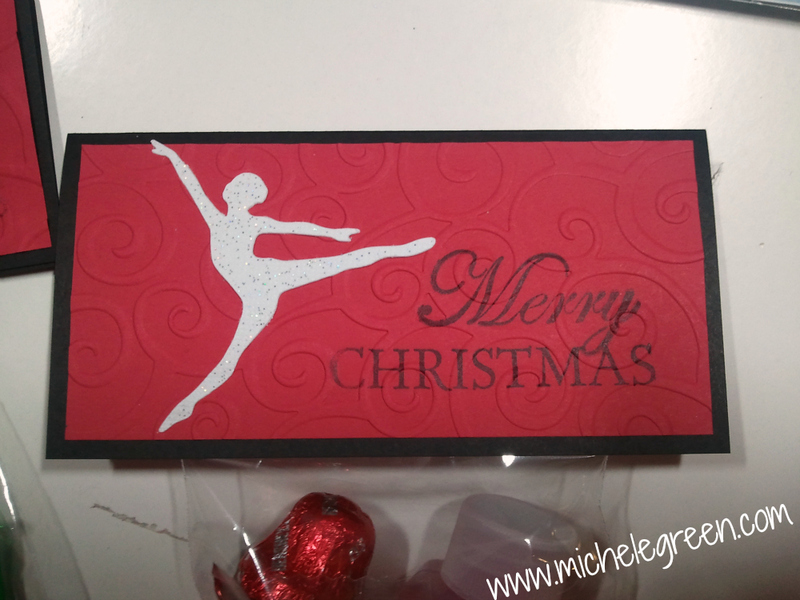 Last year I made the high school dance team that I coach glitter ornaments. This year, I found a great deal through Avon and decided to get the girls some small beauty supplies (chap stick, lotion, bath gel, etc.). I of course had to toss in some candy too! The clear bag is just from Walmart, the cardstock from my stash. 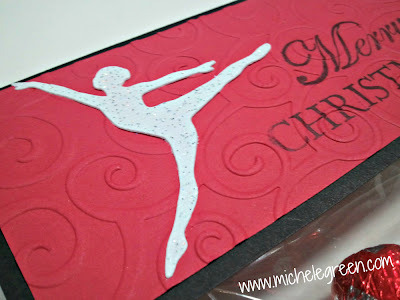 The stamps are from a KaiserCraft and the dancer is from Wall Decor & More at 2.25". These are great gifts for the dancers. Very thoughtful.